Although Moscow is the financial capital of Russia, CFA Association Russia recognizes that other big cities in the rest of the country play an important role in the economy. That is why, since last year the association began its outreach program seeking to spread the values and mission of CFA Institute, as well as to build ties with universities and financial professionals across Russia and the CIS. In 2016, Neil Withers, President of CFA Russia, and Vladimir Tutkevich, the association’s executive director, made several business trips to the cities of Nizhny Novgorod, Yekaterinburg, Chelyabinsk, St. Petersburg and Minsk, the capital of Belarus. 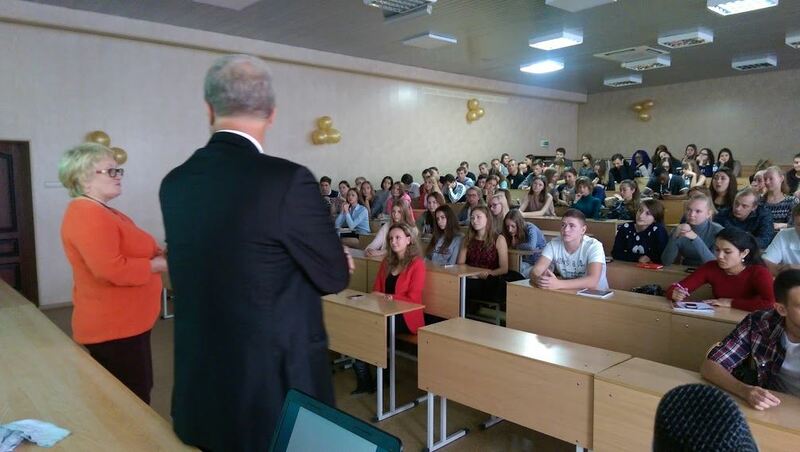 Above: Neil Withers speaking at the Ural State University of Economics in Yekaterinburg, the Sverdlovsk Oblast. 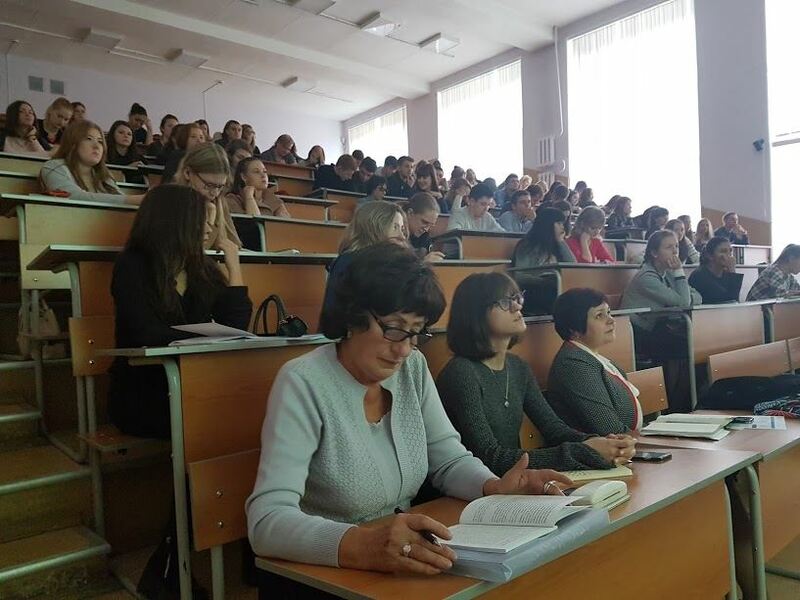 During these trips, Neil and Vladimir visited leading Russian universities and gave presentations about the CFA Charter to the young generation of financial professionals. The presentations provided the detailed overview of the CFA Exam, including an application process, the curriculum of the CFA program and theoretical knowledge required to successfully pass the exam, and how getting a charter could benefit one’s career. Above: a meeting at the South Ural State University in Chelyabinsk. the Chelyabinsk Oblast. Furthermore, the CFA Russia representatives emphasized the importance of following CFA Institute’s code of ethics. CFA charterholders must practice in a professional and ethical manner that promotes integrity, diligence, and respect. As Neil and Vladimir pointed out, high ethical and professional standards benefit everyone in the investment world. Beside the university outreach, CFA Russia aims to build relationships with financial professionals across the country, particularly with CFA charterholders and candidates, as well as everyone who is interested in working with CFA Russia. Many financial professionals are spread across the country, working in isolation from the rest of the world. This makes it somewhat challenging to follow trends and introduce new ideas. CFA Russia works to fix this by connecting financial professionals from various parts of the country and changing Russia’s investment landscape. 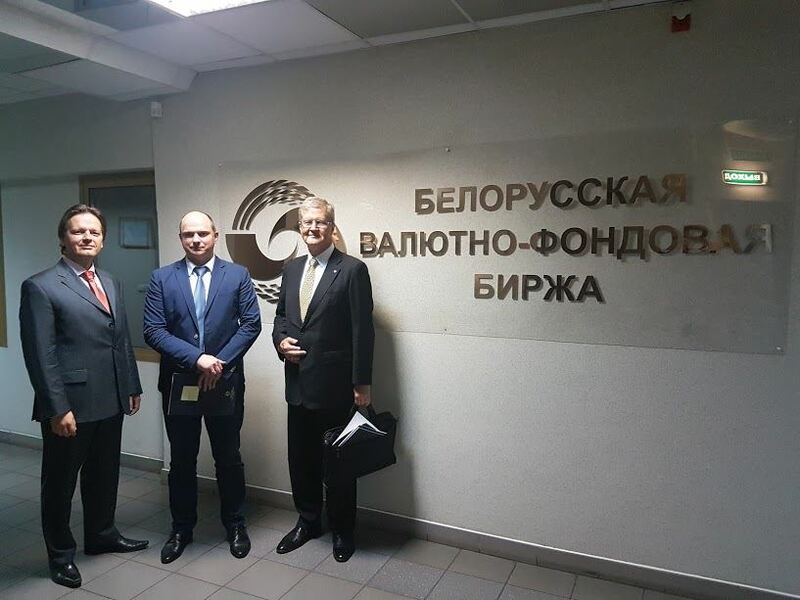 Above: Vladimir Tutkevich (on the left), Sergey Tinnikov (center) and Neil Withers (on the right) during a meeting at the Belarusian Currency and Stock Exchange. Throughout 2017, CFA Russia plans to visit more cities, including Kazan, Rostov-on-Don and even venture as far as Vladivostok and Khabarovsk in the Russian Far East.